But sometimes even MegaComcast has a bad week. 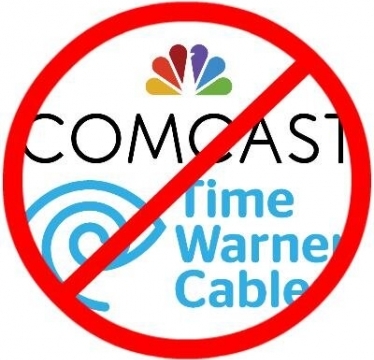 First came the rumor that the Department of Justice (DOJ) is increasingly skeptical about Comcast’s proposed merger with Time Warner Cable. Next was a letter from Senators Al Franken (D-MN. ), Bernie Sanders (D-VT), Ed Markey (D-MA), Ron Wyden (D-OR), Elizabeth Warren (D-MA), and Richard Blumenthal (D-CT) urging government regulators to block the deal. Now comes word that the Federal Communications Commission (FCC) also has issues with the merger. As we’ve pointed out before, this merger is bad news for musicians and other creators. We know what it looks like when just a handful of massive companies decide how—or even whether—lawful content reaches audiences. We also know how these companies can force artists to participate on questionable economic terms or squeeze out competition by limiting access to certain content. We’ve seen this play out on commercial AM/FM radio, and we don’t want it to happen to the rest of our communications landscape. Bottom line: this merger will undoubtedly lead to higher prices for consumers, less choice—and, most importantly for us—fewer opportunities for content creators to reach audiences on fair terms. We’re pleased that staff at the DOJ and the FCC are taking all of this seriously, but it’s no time to get complacent. First off, what we’re hearing isn’t necessarily indicative of what steps either agency will take with regard to the merger. Second, Comcast still has plenty of opportunities to try to save the deal by presenting conditions that, if history is any indication, they’ll fail to live up to. Think about your last experience with Comcast customer service. Is this a company to be trusted? Now, more than ever, it’s important to make your voice heard. The FCC is soliciting public comment on the merger, with close to one million Americans already weighing in. If you’re a musician or a fan you need to tell the FCC to deny this deal. We know that it’s not always easy to stay on top of all this stuff. We’ll be reporting back on developments as we enter the final phase of an issue that impacts ALL artists and fans.